Cruising for the Holidays Will Be Your Best Idea yet! Do you know what you’re doing for the holidays yet? Yes, we’re asking that question. 2018 is flying by – July is halfway through – so what better time than now to plan for your winter escape? If you’re looking for an effortless (and stress-free) option, we highly suggest cruising for the holidays! When you spend your holiday with Carnival, you’ll enjoy spectacular themed events, beautiful decorations, and delicious seasonal dishes. A major plus? No arguing over who’s doing the cooking or cleaning. Start your morning by the pool, watching The Macy’s Thanksgiving Day Parade in the Carnival Seaside Theater. Throughout the day, Carnival will host fun events like the Thanksgiving Duck Hunt and a special round of Thanksgiving Trivia. But what’s Thanksgiving without sitting at the dinner table with your loved ones? Carnival’s got that covered. Indulge in all the mouth-watering classics like pumpkin pie, mashed potatoes, and roasted turkey with giblet gravy. Also known as the Festival of Lights, Hanukkah is the Jewish celebration of miracles. To celebrate, there will be the lighting of the menorah along with a special prayer service that takes place in the Atrium Lobby. Additionally, traditional foods like Latkes, applesauce, and Manischewitz wine will be served. If you have children, make sure to register them in the youth program. They’ll have special Hanukkah-themed arts and crafts, games, and books. 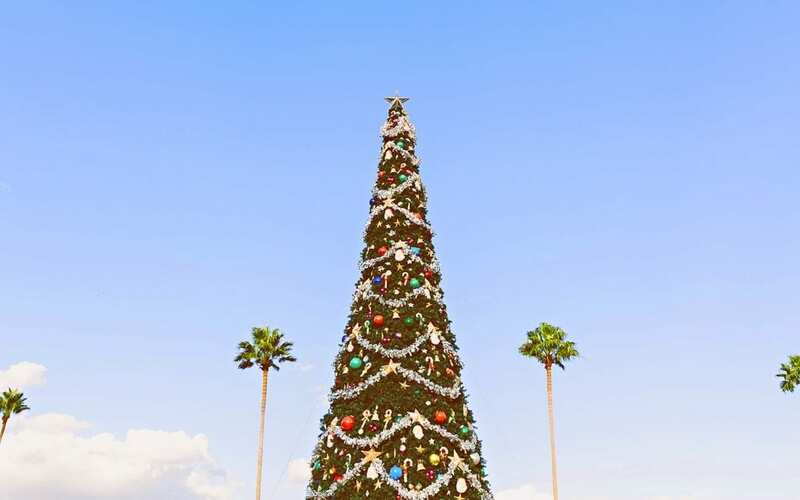 The Tree Lighting: Celebrate the magical moment where the grand Christmas tree will be lit with spectacular lights and synchronized with wonderful, heartwarming holiday music with your friends and family. This traditional holiday kick-off takes place on the first evening of the cruise and is hosted by the Cruise Director. Holiday Show: A magical show that’s sure to make your heart grow three sizes, with singers and dancers, a special performance by the kids and a surprise guest flown in from the North Pole. Oh, be on the look-out for the iconic and beloved Dr. Seuss character, The Grinch! Christmas Dinner: The scrumptious holiday menu features oven-roasted turkey with all the trimmings and freshly baked pumpkin pie, among other selections. This isn’t even half of it! With so much to do onboard, you’ll never want to leave. It’s time to start over and ring in the New Year with the biggest party of the year! Before the clock strikes 12, build up your excitement with a balloon drop, each filled with well wishes for the upcoming year. Then, move on over to the Lido Deck for the swankiest New Year’s Eve Bash before counting down the seconds with your Cruise Director and a shipload of new friends. But the night is still young, so keep celebrating at the adults-only New Year’s Eve After Party. And yes, you’re allowed to sleep in the next day. Get ready to pack your bags because there are only 129 days until Thanksgiving, 139 days until Hanukkah, 162 days until Christmas, and 169 days until New Year’s Eve. But hey, who’s counting?